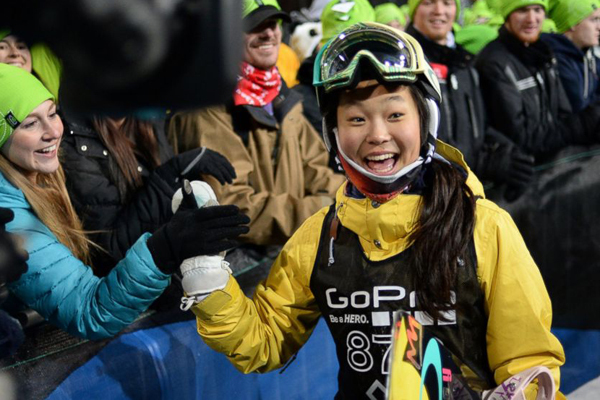 14-year-old Chloe Kim, who rides for Monster Energy, wins gold in X Games Winter 2015 Women’s SuperPipe. Youngest gold medalist ever. Photo Mathis. X Games Aspen 2015 wrapped up yesterday, January 25, 2015, with some incredible results. On day 4, the X Games achieved the largest single-day crowd in X Games Winter history with 48,500 fans. The X Games Winter also featured more of a festival-like experience, ramping-up its musical performances throughout the Games and featuring a highlight concert from Snoop Dogg last Friday. However some of the biggest news came from the events and winners. History was made Saturday night, as 14-year-old Chloe Kim defeated snowboarding legend Kelly Clark to claim the Women’s Snowboard SuperPipe crown. The youngest gold medal winner ever at an X Games winter event, saved her best for last scoring a 92.00 – two points higher than Clark’s 90.00. The winning run included a switch method cab 900, switchback 720, McTwist and a front 900. Clark’s first run score of 90.00, also set a record for the highest amplitude in Women’s Snowboard SuperPipe history at X Games Aspen, reaching an astonishing 16 feet 11 inches. Australia’s Torah Bright score of 78.33 earned her the bronze. There’s a new hero on the block in women’s snowboarding with Chloe Kim who beat out champ Kelly Clark. Photo Mathis. Thursday night concluded with one of the premier X Games winter events, the Men’s Snowboard SuperPipe. Defending champion Danny Davis used a last run led off with a McTwist, a front side 900, backside 700, switch method cab 1080 and a front side double cork 1080 to capture gold with a score of 93.66. Davis narrowly edged out Japan’s Taku Hiraoka who scored a 92.33 for silver – the same medal he captured in last winter’s Sochi Olympics. Switzerland’s Iouri Podladtchikov first run score of 89.00 was enough to win bronze (and beating out Shaun White). In Ski Slopestyle the men were up first. The first run of the day turned out to be the best run of the competition, as Nick Goepper won his third- consecutive gold medal with a score of 93.66. Goepper initially failed to qualify for the finals, but made the event after Alex Beaulieu-Marchand withdrew due to injury. Sochi Olympics Gold Medalist Joss Christesen grabbed his first X Games Aspen Medal taking the silver with a score of 90.66. Third went to Canadian Alex Bellemare, who had a high score of 85.66. The ladies were up next on the Slopestyle course with Sweden’s Emma Dahlström separating herself from the competition with her work on the rails to capture gold. Her score of 90.33 on her second run bettered the score of Keri Herman, who finished with a high score of 86.66. The silver for Herman was her third in this event capturing medals in 2010 and 2011. Coming in third was Sochi Olympics Gold Medalist Dara Howell. Howell finished the event with a best score of 82.00. 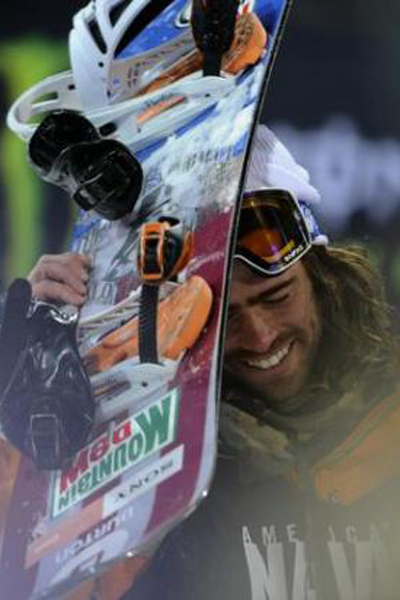 Danny Davis wins gold again at X Games Winter 2015 in Men’s Snowboard SuperPipe. Photo by Mahala Gaylord/The Denver Post. Saturday concluded with GoPro Ski Big Air, where Canada’s Vincent Gagnier put on a high-flying act good for a total score of 91 to easily out pace his competitors. On his first two runs, Gagnier scored a 44 first and then an event high 47 on his second run with a spinning 1260, double bio, double genie and an octo-grab. The silver went to Colorado’s Bobby Brown, with a combined total of 82. Bronze winner Elias Ambühl also scored an 82, but Brown had a higher single run score of 44, compared to Ambühl’s 42. Stay tuned for more as the X Games Winter results for Men’s and Women’s Snowboard Slopestyle and Men’s Ski SuperPipe are reported next.